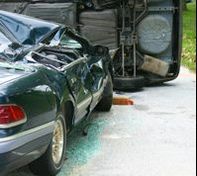 At Curtis Law, lawyer William H. Curtis offers legal advocacy for automobile or truck accident suits to clients in Athens, Georgia and across the nearby region. William H. Curtis has been working on these types of class action lawsuits for more than 30 years, and you can count on our professional team. Our team is dedicated to helping you achieve the best possible outcome. People in Georgia pay thousands and thousands of dollars to insurance companies throughout our lifetimes in premiums, and when injuries happen we depend on them to deliver. If you have been in an accident, we'll make sure your insurance provider to their word. It's recommended that you receive medical attention even if you don't appear hurt and that you call a personal injury lawyer from Curtis Law as soon as possible. When a commercial truck is involved in a crash, normal sized vehicles are even more at risk of injury or death. The majority of crashes happen due to human error, technical malfunction, inebriation or failure to maintain car standards. Regardless of the reason behind the crash, our legal advocate will attain justice for you and your family. If you've been in an auto accident near Athens, Georgia, call the law office of William H. Curtis today to set up a consultation. We're here to make sure you get the compensation you deserve.